The Philippines has a population of more than 90 million people and an annual growth rate around 2%, making it one of the most populous and fastest growing countries on Earth. The original inhabitants, the Negrito, now number only about 30,000. The majority of Filipinos are from various Malayo-Polynesian groups, including the Tagalog (28%), Cebuano (13%), Ilocano (9%), Hiligaynon Ilonggo (7.5%) and others. Many more recent immigrant groups also live in the country, including Spanish, Chinese, American and Latin American people. More than 180 different languages and dialects are spoken in the Philippines. Commonly used languages include: Tagalog (22 million speakers), Cebuano (20 million), Ilocano (7.7 million), Hiligaynon or Ilonggo (7 million), Bicolano, Waray (3 million), Pampango and Pangasinan. Philippines has seen a few culture influences and wars. Viceroyalty of New Spain 1571. The victorious Spaniards made Manila the capital of the Spanish East Indies and of the Philippine Islands, which the empire would control for the next three centuries, from 1565 to 1898. The city was occupied by Great Britain for two years from 1762 to 1764 as part of the European Seven Years’ War between Spain and France and Great Britain. The city remained the capital of the Philippines under the government of the provisional British governor. Eventually, the British withdrew as per agreements in the Treaty of Paris (1763).The Sepoys however, elected to stay and they settled in the area around Cainta, Rizal. As for the Chinese, thereafter, the Spanish Fortress-city Intrumoros always pointed their cannons against Binondo (The world’s oldest Chinatown) to create a quick response against anymore Chinese uprisings. After the British Occupation, direct trade and communications with Spain facilitated by the opening of the Suez Canal. 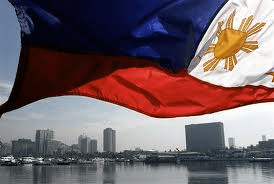 The growing wealth and education attracted Indian, Chinese, Latino, European and local migrants from the Philippine provinces to Manila, all of whom elected a nascent Filipino nationality regardless of ethnicity. In 1898, after its defeat in the Spanish-American War, Spain ceded the Philippines to theUnited States, as well as several other territorial possessions, as part of the terms of theTreaty of Paris and a monetary exchange of $20 million. 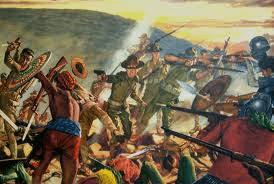 Immediately after liberation from Spain, between 1899 and 1902, Filipino revolutionaries would be involved in armed conflict with the American military in the Philippine–American War and would result in the deaths of as many as 1.5 million Filipino civilians. Under American control, a new civilian oriented Insular Government for the transformation of Manila, to adapt the old city to changed times and modern needs. The Burnham Plan included development of the road system, the use of waterways for transportation, and beautification of Manila with the improvement of waterfronts, construction of parks, parkways and various building for various activities. Due to the Japanese occupation of the Philippines, American soldiers were ordered to withdraw from the city and all military installations were removed on December 1941.General Douglas MacArthur declared Manila an open city to prevent further death and destruction; despite this, the Japanese warplanes continued to bomb the city. Manila was occupied by the Japanese forces on January 2, 1942. Manila was also the site of the bloodiest battle in the Pacific theater during the Second World War. After falling to the Empire of Japan on January 2, 1942, it was recaptured by joint American and Filipino troops from February 3 to March 3, 1945. Some 100,000 civilians were killed in Manila in February 1945. It was the second most devastated city in the world after Warshaw during the Second World War. At the end of World War II, almost all of the structures in the city, particularly Intramuros, were destroyed but after the war, reconstruction took place. In 1948, President Elpidio Quirino moved the seat of government of the Philippines to Quezon City, a new capital city in the suburbs and fields northeast of Manila, created in 1938 by former President Manuel L. Quezon, which was renamed after him. In 1976, Manila was reinstated by Marcos as the capital of the Philippines for its historical significance as the seat of government since the Spanish Period. Presidential Decree No. 940 states that Manila has always been to the Filipino people and in the eyes of the world, the premier city of the Philippines being the center of trade, commerce, education and culture. I wonder if they count my wife among those 30,000 Negritos? She is from Negros Occidental originally but her family moved to Metro Manila when she was 12 and I don’t think she has ever been back, although I want to visit her home town next year sometime. Wow really Jerry. Like all walks of life mate, people get factuated with the fast paced of life, some good some bad, and miss out on the oportunity of where home really was. It be a nice place to go and visit Negros Occidental ive heard many good stories.